Here's the third part of my countdown of the Best Stomach Exercises /Best Ab Exercises. My list changes often, depending on my focus, encounters with other trainers, and attendance at educational programs-- but I think this is a good list. One thing I'll say is that the best exercises aren't always the most creative or the most difficult. After all, what good is an exercise if 90% people can't do it. My Top 4 might not be the craziest exercises you've ever seen, but crazy isn't always the best. 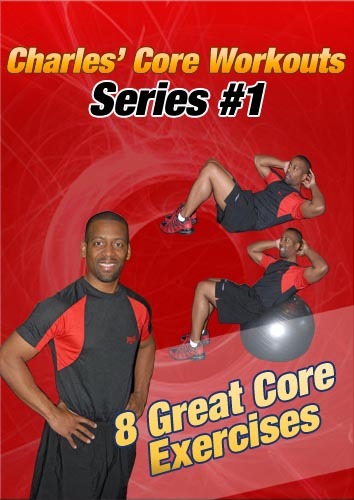 Medicine Ball Russian Twists (also called v-sit twists) are one of my favorite medicine ball exercises. The medicine ball is a great tool for stomach strengthening. It is often used for increasing speed and power in the upper body, but it can also be used to add resistance to your abdominals. I really like how simple yet effective this exercise is. In the easy version, you keep your feet on the ground, but if you want to make it harder you'd simply lift your feet off the ground. Of course if you don't have a medicine ball, you can used a dumbbell, or no weights at all. I think the v-sit position is a great position to train the abdominals, and medicine ball Russian twists are one of the best v-sit exercises. Moving Side Planks increase shoulder stability and strengthen the obliques. This is one of the best stomach exercises for the sides and obliques. When most people think about exercising their stomach, they only think about moving forwards, but it is important to exercise your stomach muscles in many different directions. Side bending is an important motion to master in order to protect your lower back. This exercise also strengthens the lower back muscles. You can perform moving side planks from your elbows and your feet or you can increase the range of motion by balancing on your hand and your feet. You do need to have good upper body strength in order to hold yourself in place, but you'll love the focus on your oblique muscles. This is really one of my favorite oblique exercises, and I personally do it and recommend it to intermediate and advanced clients. Decline Reverse Crunches are a challenging lower stomach exercise. I think that this is one of the best stomach exercises to work the lower portion of your abdomen. Now unfortunately, even the best exercises can't do everything we wish they could. You cannot spot reduce fat from your stomach. Spot Reduction is the #1 ab myth. When you exercise an area you don't magically get rid of fat in that area. But, although you cannot spot reduce, you can spot strengthen. Your lower stomach muscles are emphasized when your pelvis moves towards your chest (posterior pelvic tilt), and decline reverse crunches really strengthen the stomach. Increasing your strength during a posterior pelvic tilt will significantly improve your core strength and help to protect your lower back from excessively arching. This is one of the most challenging exercises for your stomach, and it's really one of my favorites. Alas, we have reached the top of the list. My favorite stomach exercise is bicycle crunches. I know you may have been expecting something crazy that you've never heard of, but trust me when I say that bicycle crunches are an effective stomach exercise. By using the arms and legs at the same time you get enhanced work in your stomach muscles, and by twisting you get increased work in your oblique muscles. All parts of your stomach are worked with this one exercise. You can change tempos to change the effect. Moving slowly focuses on developing endurance and will give you a deep burn; whereas, moving quickly will help you develop power and speed. You don't need any equipment except the floor, and you can even do bicycle crunches on a weight bench in between other exercises. My clients have developed a love hate relationship with bicycle crunches. They love the way their stomach feels after a good set, but they hate that I'll just keep increasing the reps until they can barely finish the set. If you've never done bicycle crunches before, go slowly in the beginning and build up over time. Alright, there you go... My Top 12 Best Stomach Exercises! Use some of these exercises in your stomach workout, or pick other exercises from the Directory of Abdominal Exercises. Sometimes the best stomach exercises are the ones that you personally like. Remember to have fun and pick stomach exercises that are appropriate for you.